Share an intimate moment with your sweetie on top of the Rock, or better yet, in the Opera Box enjoying expansive views.��(We've had quite a few proposals in the Park over the years; hint, hint!) Purchase one adult admission ticket and receive a second adult admission ticket free. Purchase one adult admission ticket and receive a second adult admission ticket free. 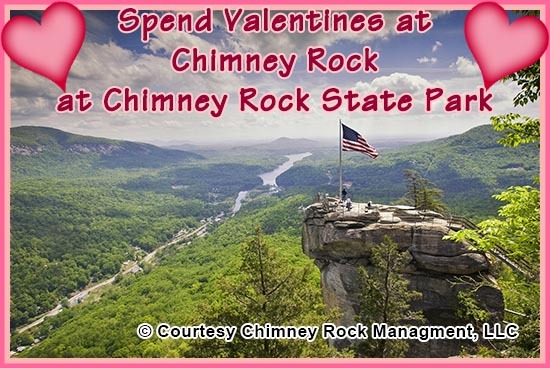 Coupon required:�Download coupon from �ChimneyRockPark.com�and present it (in print or on your mobile device) at the Ticket Plaza at time of purchase.� Print or show coupon below at the gate. February weather can be fickle. Be sure to check our website for weather alerts before you visit.